Washington D.C. is the gem of the East Coast. Visiting the capital of the United States of America can be a fantastic experience for both you and your entire family. There are countless museums, monuments and historical sites to visit, and all have both a cultural and educational value. Whether you are visiting by yourself, with your spouse, your family or taking a group of eager schoolchildren, Washington D.C. has the potential to thrill everyone, both young and old. From bikes to Segways, the modes of transportation of seeing this beautiful city are many and varied. You can expect heavier tourist crowds during the summer season than any other time. The weather is humid and the sun is always out. During the fall and winter, however, the trees turn gold and prepare for the dusting of snow that turns Washington D.C. into a snowy wonderland. During the very beginning of spring, however, you can watch the Cherry trees blossom around the capital grounds, a striking scene that most people do not get to experience! One of the most frequently used tours during the summer months in Washington are the Trolley Tours, which can last anywhere from one to two days. It will take you from place to place, allowing you to get out and enjoy a monument or historical site. The most prominent of these sites are the Capital Building, the White House, the Library of Congress, the Lincoln Memorial, the Jefferson Memorial and the Washington Memorial, which includes the Reflecting Pool. Not only are they architectural feats, but they represent the history of a nation founded in liberty and sustained in justice. Another popular tour is the Segway Tour, which will give you a day to tour the city on one of these helpful devices. They're smooth, fast, save your feet from aching at the end of the day, and the height at which they place you allow you to see over the heads of the average crowd. You can also take a Segway Night Tour of the Washington D.C. area. It' quite a thrill seeing the White House at night, ablaze with lights! Madame Tassaud's Wax Museum in Washington showcases famous Presidents, political figures, soldiers and warriors of the Republic. The National Museum of Crime and Punishment is also located in the Washington area, as is the Newseum of Washington D.C. and the famous Spy Museum. The latter is one of the most popular attractions in the city. 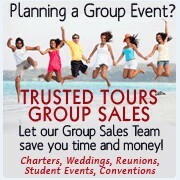 There are also water tours, bike tours, walking tours and food tours for your enjoyment. Save money with the this GREAT package- The Old Town Trolley Tours Gold Pass includes -unlimited touring on the Old Town Trolley Tour, Arlington National Cemetery Tour, and a cruise on the Wharf Water Taxi. Save money with this GREAT package- The Old Town Trolley Tours Platinum Pass includes -2 Days on the Old Town Trolley Tour, Arlington National Cemetery Tour and a cruise on the Wharf Water Taxi. Washington DC's spectacular monuments at night are not to be missed on this 2 1/2 hour fully narrated tour. With stops at the World War II Memorial, the Lincoln Memorial, and the Martin Luther King Jr. Memorial. You will definitely want to bring your camera. See Washington DC on land and water with the DC Ducks tour. This 90-minute Washington DC tour will take you through the city of Washington before splashing down into the Potomac River for the most unique ride of your life! Explore the Rich History of Arlington National Cemetery from the Comfort of our Trolleys. Segway the Sites of Washington DC! DC Sites by Segway will be an overview of the National Mall from the Capitol to WWII including the north side of the White House, some fun off-the-Mall spots, and a glide down Pennsylvania Avenue. Segway the Sites of Washington DC at Night! DC Sites by Segway will be an overview of the National Mall from the Capitol to WWII including the north side of the White House, some fun off-the-Mall spots, and a glide down Pennsylvania Avenue. Segway Day Tours offers you a unique way to tour Washington DC. See the White House, Smithsonian museums and more while gliding on a Segway. The tour includes orientation, fantastic photo op's, and personal service from your guide. Segway Night Tour is a great way to see Washington DC. Cruise through the Nation's Capitol past the monuments, the White House and American icons. Receive a great orientation, informative facts and fantastic photo op's. Looking for just a quick jaunt around the city? Segway Day Tours offers you a unique way to tour Washington DC. See the White House, Smithsonian museums and more while gliding on a Segway. The tour includes orientation, fantastic photo op's, and personal service from your guide. See the best of Washington DC with the Old Town Trolley and Monuments by Moonlight tours. 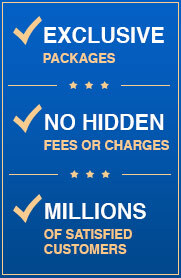 This package lets you discover the true wonder of the nation's capital. Named "Washington's Best Tour" by the Washingtonian Magazine! Save money with this GREAT package includes -unlimited touring on the Old Town Trolley Tour, Arlington National Cemetery Tour, and a cruise on the Wharf Water Taxi AND an evening Monuments by Moonlight Tour. Save money with the this GREAT package- The Old Town Trolley Tours Platinum Pass includes -2 Days on the Old Town Trolley Tour, Arlington National Cemetery Tour and a cruise on the Wharf Water Taxi AND an evening Monuments by Moonlight Tour. 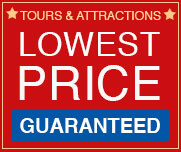 See the best Washington DC with the Old Town Trolley Silver Pass and DC Ducks Package. It offers the best Tour of Washington DC, Smithson Museum and DC Ducks, where you can experience the Potomac River on a fun filled Boat with Wheels. See DC from the land and water! Save money with the this GREAT package- The Old Town Trolley Tours Gold Pass includes -unlimited touring on the Old Town Trolley Tour. Also included Free is the Arlington National Cemetery Tour, and a cruise on the Wharf Water Taxi PLUS the DC Ducks Tour. Save money with the this GREAT combination package- The Old Town Trolley Tours Platinum Pass includes -2 Days on the Old Town Trolley Tour, Arlington National Cemetery Tour , a cruise on the Wharf Water Taxi AND the DC Duck Tour. Enjoy the Washington DC highlights on this tour by land and water with the DC Ducks tour. And then experience History at Arlington National Cemetery from the comfort of our Trolleys. With this great combo package enjoy Washington DC's spectacular monuments at night on this 2 1/2 hour fully narrated tour. And explore the rich history of Arlington National Cemetery from the Comfort of our Trolleys. Madame Tussauds' Wax Museum gives visitors an interactive, full-sensory experience; you can touch, see and hear major historical events and celebrities in a way unlike any other Washington DC tour. New Arrivals: All The Presidents! Indulge your passion for news! The Newseum features seven levels of galleries, theaters, retail spaces and visitor services. It offers a unique environment that takes museumgoers behind the scenes to experience how and why news is made. The International Spy Museum is the first and only public museum in the United States solely dedicated to espionage. The experience is fully interactive and suitable for all ages. Upon arrival, visitors are given a secret identity which they must use to test their spy skills throughout the museum. Visit Mount Vernon, an iconic landmark and the home of America's first president, George Washington. Combining an authentically interpreted 18th-century home, gardens and grounds, and museum galleries, Mount Vernon is an incomparable national treasure. Enhance your visit to Mount Vernon with a 45-minute sightseeing cruise of the Potomac. See unique views of the estate and learn more about Washington's fishing enterprises. Enjoy this 90-minute cruise to Mt. Vernon direct from Washington, DC... a sightseeing adventure not to be missed! Includes a tour of Mount Vernon Mansion and a narrated tour of the Potomac River and its famous historic landmarks. Take in the views and enjoy our onboard narration as you cruise along the Potomac River to Mount Vernon. Enjoy a narrated Washington DC harbor cruise while you enjoy a Grande Lunch Buffet, and amazing views! Buy tickets online to save time and money. Come aboard and enjoy an entertaining Potomac River lunch cruise. Take a narrated two-hour tour of Washington DC's historic harbor while you enjoy a Grande Buffet, performers, and amazing views! Join the Spirit of Washington for a positively inspiring experience aboard the Gospel Lunch Cruise. Enjoy gospel entertainment while you dine on a delicious lunch buffet. You will have the best seat possible for some of the nations most famous skyline views while listening to a narrated tour of DC's historic harbor. Head to Washington's historic waterfront for a Spirit of Washington dinner dance cruise on the mighty Potomac River. Enjoy wonderful dining, dancing, live entertainment and splendid views of our nation's capital, all for one price. Want to create an unforgettable event in Washington DC? Treat your guests to the vibrant Spirit of Washington, the most festive dining cruise on the Potomac River. Enjoy wonderful dining, dancing, live entertainment and splendid views of our nation's capital. Washington DC Odyssey Lunch Cruise offers the ideal setting to create an unforgettable memory. Enjoy a two-hour escape to the signature elegance and total entertainment experience only a true luxury cruising vessel can provide. Escape to the signature elegance and total entertainment experience on the three-hour Washington DC Odyssey Dinner Cruise. Dance the night away and enjoy Washington dressed up in lights for spectacular views. Odyssey III, Washington, DC's most elegant and contemporary cruising vessel offers the most unique brunch setting in Washington DC. Cruise past historic monuments as you enjoy a sumptuous brunch and a unique on-board environment that begs to be explored. The newest additions to our fleet connect the Wharf with Alexandria and Georgetown. Starting now, you can travel directly to The Wharf in approximately 25 minutes from either of our docks at City Marina or Washington Harbour. Develop your taste for the city on this cultural and culinary walking tour through U Street & Shaw neighborhoods. You will enjoy delicious tastings from 4 locally owned restaurants and eateries, while strolling through these iconic neighborhoods. You'll also learn about the interesting culture and history of the area that makes each of these areas so special. The Capitol Hill Culinary Experience Food Tour takes you through the country's largest Victorian neighborhood, where you sample local and regional specialties that reflect this neighborhood's personality. A vibrant culinary scene awaits you as you dine at family run restaurants from the Navy Yard to Eastern Market. This 3.5 hour food tour takes groups to historic yet chic Georgetown, an area that predates Washington DC. You will be transported through 250+ years of history and enjoy flavors closely connected to this Northwest DC neighborhood. This walking food tour will highlight Ethiopian cuisine by stopping at a variety of restaurants, each boasting a different specialty dish. Sample the intricate flavors, textures, and colors in Ethiopian cuisine, while recounting the history of the Ethiopian people. On the Dupont Circle Food Tour, you are brought to the forefront of several cultures from around the world. Enjoy traditional ceremonies and cuisine in authentic surroundings. On this walking tour, you will be served dishes that rely on locally sourced ingredients, hand crafted beverages and desserts. The Old Town Alexandria Food Tour explores locally owned and operated restaurants off the beaten path in this historically rich town. The restaurants and dishes have been meticulously chosen to showcase the culinary variety that exists within Old Town Alexandria, a DC neighborhood. The Foods of Eastern Market Tour takes you to the longest running public market in Washington DC. It has been the center of life within Capitol Hill for over 200 years. Eastern Market remains a culinary gem in Washington DC filled with history, character, and delicious food. Bike to Mount Vernon with this self-guided two-way ride on the Mount Vernon Trail. This scenic trail takes riders through Dykes Marsh and Belle View Park along the Potomac River. Free admission to explore the first Presidents home and gardens, then ride back to Alexandria at your own pace. It's the best way to tour Washington DC! The Monuments Bike Tour is a leisurely and fun way to explore Washington's monuments and memorials. Get up close and personal with this easy 3-hour guided bike tour. Explore Washington DC with a biking adventure through the city. This exciting guided tour will take you to many of the historic landmarks and attractions in the area. Bike along the National Mall and on the banks of the Potomac River! Experience the beauty of Washington DC at night on a bike tour. This evening bike tour takes you to the National Mall and Potomac Tidal Basin when the monuments are less crowded, the air is cooler and the views are magnificent. Try it by bike--you'll like it! There's so much to see in Washington, DC - why not cover more ground by riding a bike? Biking keeps you young in spirit, and there's no better way to get around and see new things! FREE MAPS, with suggested rides and self-guided tours.